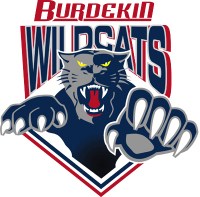 Come down to the Burdekin Den to see our seniors in action - Women at 6:30pm and Men at 7:30pm. Seniors Preliminary Finals Draw Monday, 19 November 2018 is below. Senior Draw for Monday 12 November 2018 - Semi Finals - is attached. Senior Draw for Monday, 5 November 2018 is attached. Reminder for those not fully financial to make final payment of fees this week and teams don'f forget to provide a scorer for your game. Senior Draw for Monday, 22 October 2018 is attached. Senior Basketball resumes on Monday - I hope everyone enjoyed the break. Attached are the draws for the next two weeks. The full draw is available on the website under "Senior Draw" tab. Teams are reminded that they must provide a referee as indicated on the draw. Senior Draw for Monday, 17 September 2018 is attached. Players need to be financial to take the court. Senior Draw for Monday, 3 September 2018 is below. 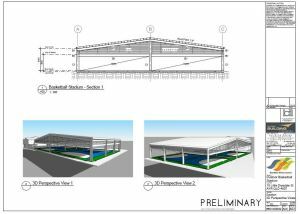 All players must be registered and financial to take the court. Eagles (Andrew Kennedy/Jack Pugnale) please advise if you are withdrawing from the competition so you can be removed from the draw. The draw for Monday, 27 August 2018 is attached. Note there will only be one ladies game due to a forfeit at 7:40pm. The 8:30pm ladies game will be moved to 7:40pm. A reminder teams must supply a scorer. All players need to be registered and financial this week. The 2018-19 Representative Basketball Season Dates for Qld North Junior Basketball Championship (QNJBC) have been released (see below). Senior Basketball Draw for Monday 13 August 2018 is attached. Can all players please register and pay fees this week - anyone having problems registering contact our Acting Registrar Linda Kirk. Senior Basketball Season 2 anticipated start is Monday, 23 July 2018. Congratulations to all our senior players on surviving Season One!! Senior Grand Final Draw is attached. Senior Preliminary Finals Draw Monday 18 June 2018 is attached. Attached is the Semi Finals Draw for Monday 11 June 2018. The Preliminary & Grand Final Draw format is included for your information. Senior Basketball Draw for Monday 4 June 2018 is attached. Senior Basketball Draw for Monday, 28 May 2018 is attached. Senior Draw for Monday, 14 May 2018 is attached. Senior Basketball Draw for Monday, 30 April 2018 is attached. Senior Draw for Monday 23 April 2018 is attached. Those on payment plans need to make final payment this week - as advised last week. Draw for this Monday 19 March 2018 is attached. Senior Draw Monday, 12 March 2018 attached. Most seniors have sorted their registrations - just a few to go!! Please parents give Larry a hand to sell our goods today when you can. DRAW UPDATE - OUTSIDE LIGHTS ARE NOT WORKING DUE TO RECENT RAIN. THEREFORE all games up to 615 will b as usual. U14 games will all be inside. Refs n scorers as per original draw. Senior Basketball Draw for Monday 5 March 2018 attached. All players need to be registered and paid before taking the court on Monday night. Junior Basketball is CANCELLED today. It looks like we have 4 Men's and 4 Women's Team for Season 1, 2018. This week all games will be grading/non-count games. Welcome to Season One 2018! We have put together DRAFT Junior Teams however there are a lot of players who have not registered yet so these teams will change. Coaches will also change with team changes - Anyone interested in coaching and refereeing please let games control know. If you are interested in playing Seniors for 2018 can you please let us know via return email or on our FB page so that we can establish players. 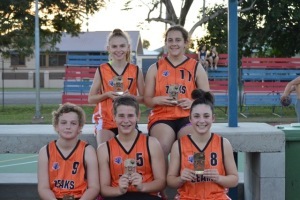 Welcome Back to Junior Basketball for 2018 and Congratulations to our Juniors who competed at the 2018 Queensland Basketball Championships over the break. Registrations will be done Online only via our website with payment made by direct deposit or credit card during the registration process. Tickets on Sale at Family Outback Medical Centre, 140 Mackenzie Street Ayr (see Teresa Kennedy). For people who are out of town, please email or call Sandra Wight first to secure tickets, then direct debit to BABI account and email Sandra a copy of the transaction report with what day you are wanting to attend . Please use your surname and number of tickets in the description. We will arrange to get your tickets to the TBI office for collection. Season 2 would normally start on Monday, 17 July 2017 (this week) however as we have only received about 4 registrations THIS HAS BEEN POSTPONED. Junior Draw for this Wednesday, 27 April 2016 is attached. Draw 20 April 2016 - Canteen Help Needed!! Below is the draw for this Wednesday, 20 April 2016. Help is needed in the Canteen. Junior Fixtures are cancelled this afternoon due to the weather. Draw 16 March 2016 - Canteen Help Needed!! 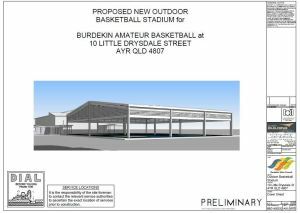 Burdekin Basketball are fundraising to construct a New Multi-purpose Outdoor Stadium where the existing two outdoor courts now stand. We are applying for state funding through the Get Playing Plus program however for every $2 contributed by the grant, we must provide a $1. 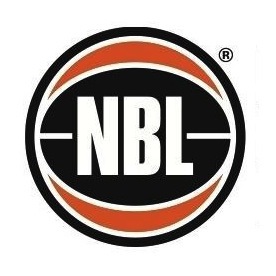 Yes the Townsville Crocodiles will play the Illawarra Hawks on Tuesday night the 29th September at 6.30pm in the Burdekin Den. Tickets on sale now $15 adults and $5 students - contact Sandra Wight 0438 863 511. Due to limited seating you will need to get in quick before they sell out. 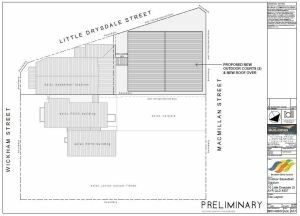 Bar and Canteen will be open. This meeting is mainly to discuss the Burdekin round of QNJBC and how we can improve for next year. What worked this year and what did not. We need to ease the workload for some and share some duties around. Welcome back to you all. 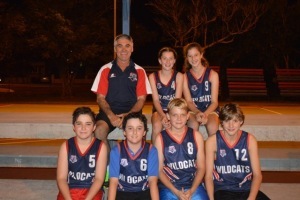 Hope you are looking forward to another fantastic year for our Junior and Senior Basketball Members. Girls born 2000 and 2001 who are wishing to trial for U16 Girls 2014/2015 Representative Team - Trainings are Monday and Thursday mornings 6.30-7.50am. Please bring a size 6 basketball and a water bottle. Boys born 2000 and 2001 who are wishing to trial for U16 Boys 2014/2015 Representative Season are asked to attend a shooting session this Saturday 9/8/14 from 8am - 9am. Please bring along a Size 7 basketball and a water bottle. Fixtures 26th March 2014 - CANCELLED! Please see attached flyer about the crocodiles doing clincs for our juniors this Sunday 16.3.2014. Some of the players will also be at our Junior Fixtures this Wednesday. It’s that time of year again when we have our biggest fundraiser for the year. 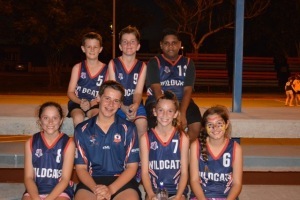 Our association hosts the final round of the U12 Queensland North Junior Basketball Championship with teams travelling from Mulgrave, Cairns, Townsville and Mackay, Saturday & Sunday 15th and 16th March 2014. Fixtures 19th February - CANCELLED!!!! Mens and Womens Basketball 2014 has Commenced. See Seniors Draw Tab. Junior Fixtures will commence this Wednesday, 5th February 2014. Teams are being put together so we ask if all players can make their way down to the courts this week. Under 8's will recommence next Wednesday, 12th February 2014, 3.30-4pm @ $2 per child. 7.30pm Tuesday, 5th November 2013, Upstairs in the Stadium. ALL WELCOME! This Week is the LAST WEEK OF FIXTURES. Please see Junior Fixtures tab for this week's draw including referees - CANTEEN VOLUNTEERS ARE NEEDED. Senior Draw is on the Senior Draw tab. Reminder - This years Grand Final Day and Break up is THIS SATURDAY 9 Nov 13 from 11.30 till late. Final reminder. This weekend is our Development Camp weekend. This camp is open to all players. Players that are interested in playing rep should definitely attend the camp, however, if you are not wanting to play rep, this camp is also definitely open to you. All members are encouraged to attend. 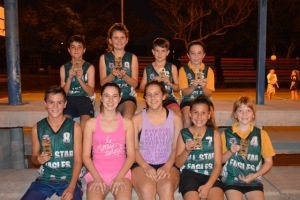 Disco in Aid of our Burdekin Amateur Basketball Junior Water Festival Ambassador Payton McInerney. Entry to Disco is $5 including Sausage Sizzle. Drinks, Chips and Lollies on Sale. Attached are the first draft of teams for Season 2 - 2013. 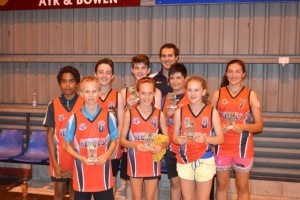 Remember, this season there are minor premiers and Grand Final Day winners at our annual End Of Year "Round Robin" tournament which is held on a SATURDAY in November. Watch emails and website for date. Applications open again on 15 July 2015. For our junior members who have registered for our Beginner Trainings, we will be starting on Thursday 2 May 2013 for 7 weeks. Under 8 Fundamentals commence on 20 February 2013. 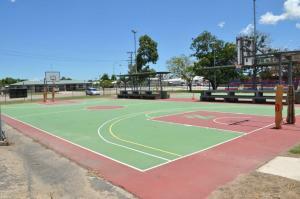 Sessions will again be on Wednesdays, 3.30pm - 4.30pm, $3 per child attending, Burdekin Basketball Stadium. Children Aged 5 to 8 years. Training with Teresa is on Tuesdays and Thursdays 3.30pm to 5.00pm commencing next week 18th September 2012. This is open to any club players in the above age groups interested in improving their game skills. Any players intending to play representative basketball should attend. 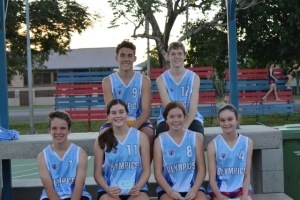 Congratulations to Matthew Wight, Alicia Kirk, Annette Higginson & Molly Barbagallo (Shadow) who have been selected onto the 2012 Queensland North U16 Men's and Women's State Teams. Congratulations also to Sandra Wight on being selected as the Men's Manager.